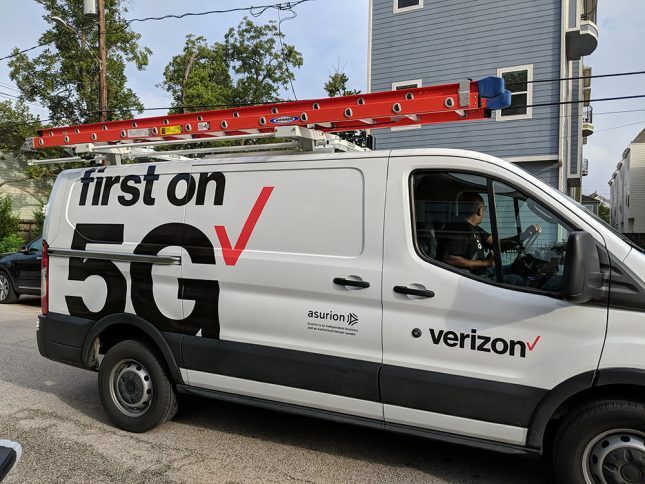 NEW YORK – Verizon and Samsung announced their plan to bring one of the first commercial 5G smartphones to market in the first half of 2019. The companies will unveil a proof of concept, powered by the upcoming flagship Qualcomm Snapdragon Mobile Platform with the Snapdragon X50 5G NR modem and antenna modules, integrated RF transceiver, RF front-end and antenna elements, at the annual Qualcomm Snapdragon Technology Summit in Maui this week. This is the result of years of collaboration to deploy an end-to-end solution for commercial 5G services using Samsung network equipment and personal devices. Verizon Communications Inc. (NYSE, Nasdaq: VZ), headquartered in New York City, generated $126 billion in 2017 revenues. The company operates America’s most reliable wireless network and the nation’s premier all-fiber network, and delivers integrated solutions to businesses worldwide. Its Oath subsidiary reaches people around the world with a dynamic house of media and technology brands..